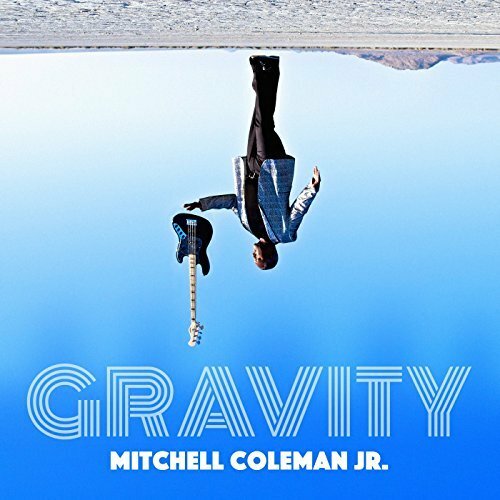 Mitchell Coleman, Jr. had been playing the bass guitar for more than a decade when he experienced his ‘I’m not worthy moment.’ Such a moment comes when a young musician hears one of the legends play, and the kid has amassed just enough to realize just how far he has to go. Then comes the moment where this up and coming musician has to decide whether to end the pursuit and join the 9-to-5 world or return to the woodshed and practice. Only the Lord knows how many saxophones got decommissioned after somebody heard John Coltrane. Coleman grew up in an era when bass players were the musical role models that R&B and funk players wanted to emulate. Neither frequent moves nor a stint in the military dissuaded Coleman from the bass. However, hearing bass man Jaco Pastorius made Coleman realize how much he had to learn, and then the bassist returned to the woodshed and commenced the learning. Coleman describes himself as a jazz-funk fusion player, and both genre hold equal footing on Gravity. “I Can’t Help It,” a cover of the Michael Jackson classic from the Off the Wall album, is the current single aimed at getting airplay on smooth jazz and adult urban contemporary radio. The track features New Edition alum Ralph Tresvant singing the hook, some improvisation on trumpet and sax, but it is basically a smooth jazz cover of an R&B classic. More interesting are tunes such as “Thunder,” where Coleman goes all in on the funk. This number features horn play, Coleman’s plunking and thumping on the bass and Bernie Worrell-inspired spacey, atmospherics on the keyboards that give this instrumental the feel of a James Brown cut where the Godfather of Soul steps back and lets his band have some. It would probably be wrong to say that Coleman’s education is complete, but his work on Gravity shows that the bassist has learned all the right lessons thus far. I can't wait to hear more. Solidly Recommended.